A spouse may need financial support while a divorce is pending in court, especially if the spouses have not yet divided their property or agreed on related financial issues. In Illinois, divorce laws provide each spouse with the right to request "temporary relief" that has effect until the spouses finalize their divorce. Temporary relief can include maintenance paid by one spouse to the other. To obtain temporary maintenance in a pending divorce, the spouse requesting the support must generally provide the court with facts regarding the spouses' financial circumstances and establish a reason for the court to issue a court order for temporary relief. If the spouses disagree regarding spousal maintenance, they can ask the divorce court to make a decision. Illinois divorce laws include a list of factors for the court to consider in maintenance disputes. The court must consider several factors related to the spouses' finances as individuals and as a married couple. The court may consider each spouse's ability to become financially independent after divorce, each spouse's income and each spouse's parenting duties, if any. In addition, the court can review the property division established in the divorce to determine each spouse's assets and debts after the end of the marriage. However, Illinois law does not allow the court to consider adultery or other types of marital misconduct when making an award of spousal maintenance. 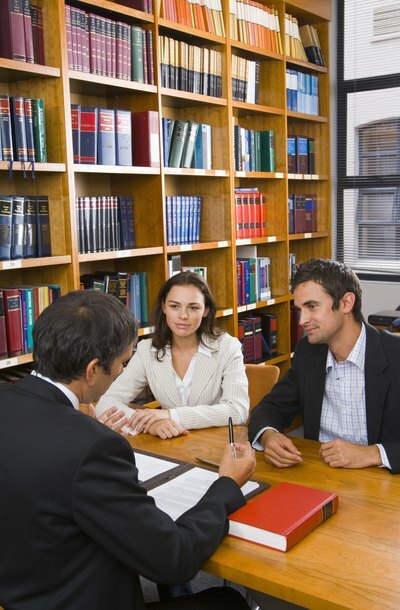 Illinois divorce laws allow temporary or permanent maintenance after divorce. The court might order temporary maintenance for a limited duration; after the end of the specified period, maintenance generally ends unless the recipient spouse can obtain a new court order to extend the duration. The court might also use temporary maintenance for a rehabilitative purpose — requiring support for one spouse during education or training to prepare that spouse for employment and financial independence in the future. In contrast, permanent maintenance may continue indefinitely until the recipient's death, remarriage or cohabitation with a new romantic partner. However, Illinois courts rarely award permanent maintenance unless justified by the recipient's age or disability, or unless the spouses were married for many years. In Illinois, spouses have a right to negotiate their own divorce agreement, which may include a requirement to pay spousal maintenance. State law requires the court to accept the couple's agreement in most cases. However, the court can decline to approve any agreement which it finds to be unconscionable. To determine whether an agreement is unconscionable, the court must review the spouses' financial circumstances and consider the fairness of the terms in the agreement. For example, if the agreement eliminates the right to maintenance for both spouses, the court might look at each spouse's potential income and financial resources after marriage. If a lack of spousal maintenance would place one spouse in a dire financial situation while the other spouse enjoys more favorable financial circumstances, the court might decide that the agreement is unconscionable. The court can direct the spouses to revise any unconscionable terms before finalizing the divorce. Illinois General Assembly: 750 ILCS 5/ Illinois Marriage and Dissolution of Marriage Act. Illinois Legal Aid: After My Divorce, Am I Entitled to Alimony?